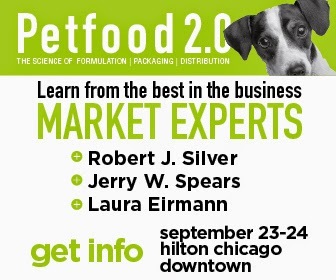 If you're interested in learning more about pet food and the industry behind it, check out the Pet Food 2.0 Conference, convening in Chicago on September 23-24—it's less than a month away! The conference will highlight the many recent changes in the way pet food is formulated, packaged and marketed, including the newest ingredients and the science behind the latest products. Meanwhile, we're thrilled to bring you excerpts from our conversation with one of the conference speakers, Robert Silver, DVM, MS. Dr. Silver has practiced companion animal medicine, for 32 years and has long integrated conventional veterinary medicine with the best of alternative medicine, including acupuncture, laser therapy and nutraceuticals (supplements derived from food sources that are believed to provide extra health benefits). He is currently the Chief Medical Officer for RX Vitamins for Pets. 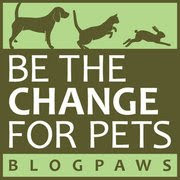 Dr. Silver's presentation at the Petfood 2.0 conference will concern, in general, the relationship between consumer activists and the pet food industry, and specifically focus on several key ingredients typically found in commercial pet food that have caught the attention of these activists. But rather than discuss the analysis of these ingredients that Dr. Silver will present at the conference, we'll instead share what we learned about how consumers can impact the pet food industry. Clearly, the trend is to fully integrate dogs and cats into our families, and to humanize our animal companions (we have been on the cutting edge of this trend, since yours truly, a dog, has been writing this blog since 2009!). And this trend has had a direct influence on what we feed our pets and our increasing concern for their health and wellness. This follows the trend with the human food industry, where consumers have successfully lobbied to eliminate the use of certain ingredients, like Red Dye #2 and bromated vegetable oil, as just a few examples—remember those? The good news is that the industry has been responsive to consumer activists, and according to Dr. Silver, "modern pet food is better than its ever been." (Note: Dr. Silver "believes strongly in the benefits of whole foods", and his pets get homemade meals). But there's always room for improvement, and knowledgeable consumers (that means you) can influence the pet food industry about both ingredients and the manufacturing processes. In fact, Silver says that consumers "can be the cutting edge of what's to come". Our takeaway from chatting with Dr. Silver is that we have an obligation to speak up for our pets' health and make our thoughts known to the industry if we're concerned about any aspect of our pets' food. And in turn, the companies have a responsibility to be responsive. Let us know what you think about our role in influencing the pet food industry. 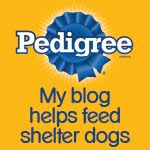 Have you written to a company or expressed concerns about your pets' food? We so agree companies have a responsibility as do we. Have a marvellous Monday.